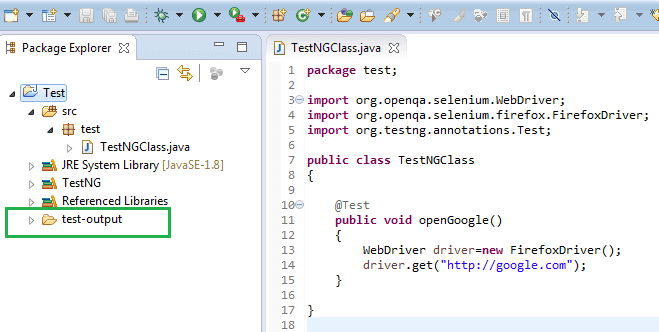 Selenium Webdriver along with TestNG allows user to generate reports. Generating Report for test automation execution is essential part of the automation. Execution reports play a crucial role in the formation of a sophisticated automation framework. Reports not only captures the failues but it also captures which is causing the failures and details about the failures. 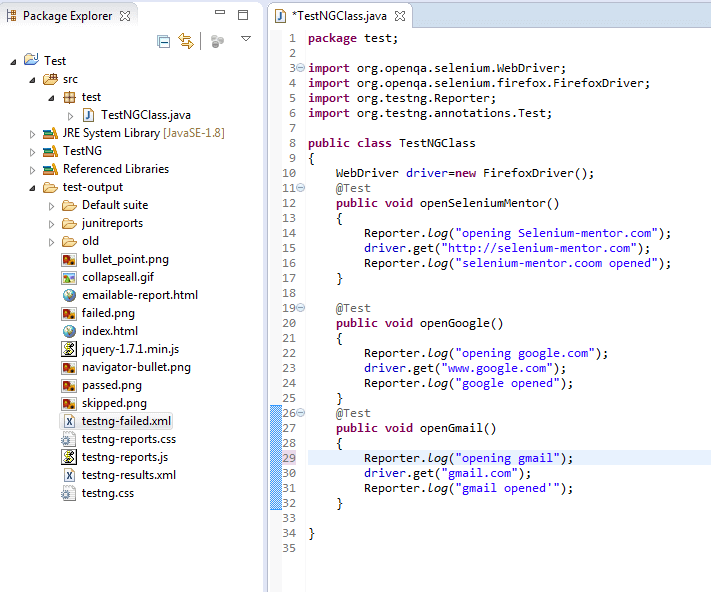 Let's learn how to generate reports in TestNG wth selenium webdriver, consider below test code. 1. 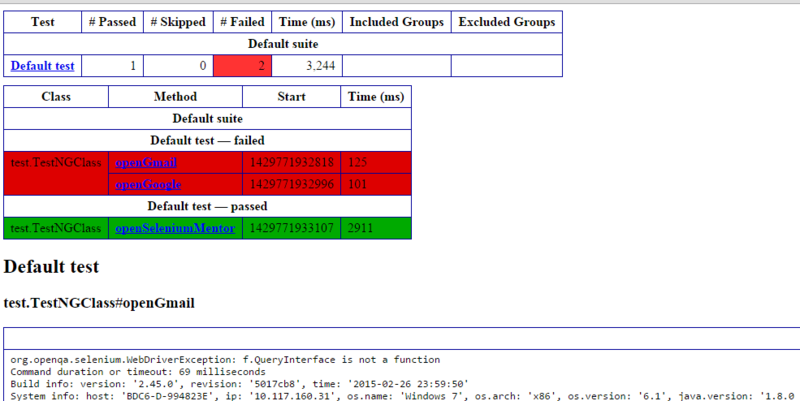 After execution on the console you see the details like PASSED and Failed ,Skipped and time taken to execute. 8. 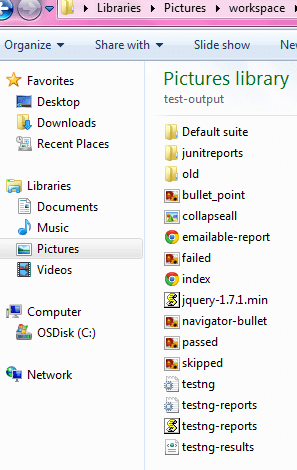 Open the index which contains report nad what test case it is,and passed tests and failed tests ,time details. 9. Open emailable report which we can email because it contains clear information about when test started and what test it is and what class it is. 1. 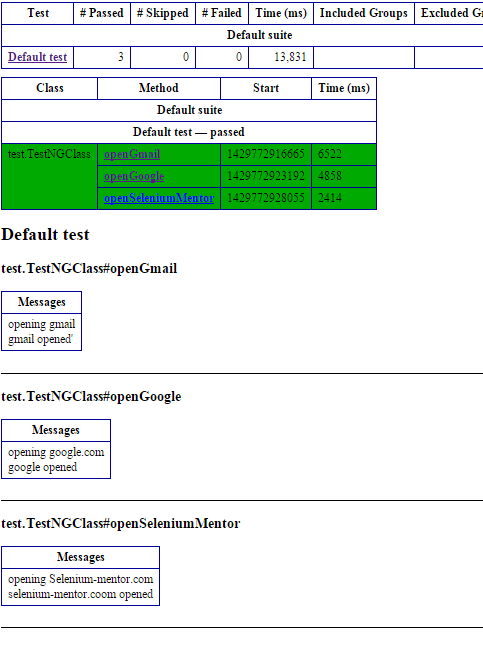 Lets us consider above program it openGoogle and openGmail methods will fail and TestNG generates emailable report for it and the report looks like below. 2. Is it possible to send the above report to client as it is ? Because client is a person who pays you, and also always screws you with questions . After looking this report first Questions asks is "when those are failed ?". Because there is no details about when it is failed in the report. 1. 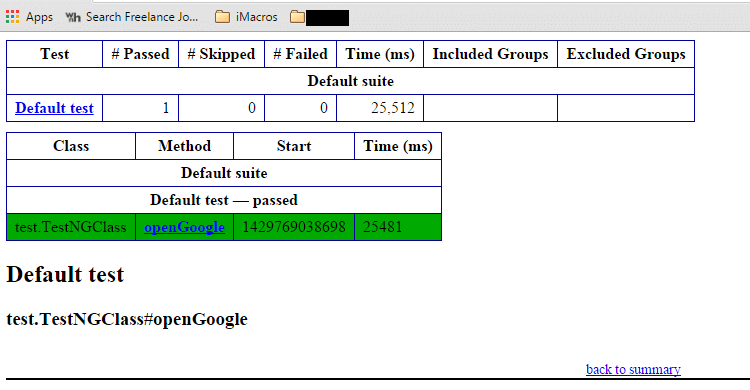 Got to the program and add a code "Reporter.log("google opened");"
2. Enter the code where ever you want details or logs. 3.Now open the "emailable-report",it contains all the logs now.